Pokémon Red first entered the scene in February of 1996 in Japan. The game would go on to shift genres and introduce generations of players to the basic ideas and gameplay behind Japanese Role Playing Games, or JRPGs. 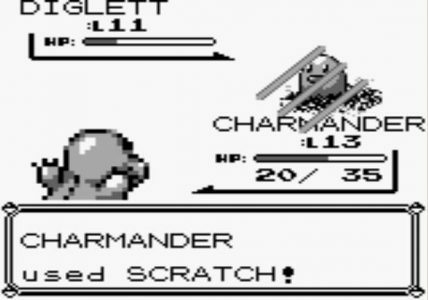 Red was only preceded by the prototype seeming Pokémon Green. More than two years following the worldwide debut in Japan, the game would come to America. The game, and others of that generation of Pokémon are primitive, but stand up as solid JRPGs even a the seventh generation continues with new games releasing this Fall. I am not sure this really needs to be talked about in 2017, but just in case, here we go. Pokémon Red puts the player in control of a kid who lives in a tiny town, consisting of three whole buildings. You try to wander into the wilderness when the resident Pokémon professor, Professor Oak, gives you a Pokémon. The rest of the game consists of the player moving through the game world, collecting badges proving their strength and thwarting the efforts of the Pokémon mafia. The world is populated with many different monsters for the player to collect and battle with. This makes sure that there are always new ways to play the game, and offers near infinite replayability if this is your type of game. The monsters all have different types, and therefore, it is up to the player to create versatile and compatible teams to deal with the trials of the mafia and various Pokémon gyms. The story here is extremely light, but I don’t knock these games for light story. The interchangeable gameplay makes up for light story aspects. This is a Game Boy game from the mid 1990’s, and as such, there isn’t a ton of room on the cartridge for fancy gameplay mechanics in addition to the depth of mechanically simple gameplay. The worst thing I can say about Pokémon Red is that the menu systems, nearly all of them, are clunky. Every item goes into a single list, making the game much more cumbersome to navigate than later games in the series. Battles move quickly, though. Traversing the overworld is simple and easy. The worst parts of exploration include the need to give certain monsters useless battle moves in order to move through the world. These moves take up precious roster space, and are only useful to move through certain parts of the world. This often pushes the player to capture a Pokémon with the express purpose of teaching it these terrible moves. Turn based combat means that the game flows at a speed where even the most careful players can take their time. This is where the flaws start to pile up on Pokemon Red. At least in terms of graphical presentation, the game has a rough time. The overworld consists of cities and environments that look the same for the most part. The monsters look different than they will eventually look as a standard aesthetic and the sprites of the monsters from behind are absolutely garbage, failing to represent the monsters even at the best of the sprites. The music, on the other hand, is pretty great. This game is recognized for the classic music presented. Some of these have gone on to spawn entire internet culture stories like the Lavender Town theme. Pokémon Red really looks and plays like a game from 1996. 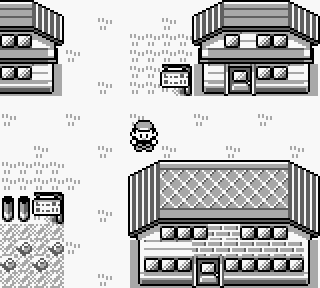 In terms of pure aging, the game has aged better than most from that era, but you can most definitely see the age wearing on Pokémon Red. The overwhelming player options that set the foundation for an entire sub genre of JRPGs is present, and as long as that is there, the game is an easy sell for me. Pokemon Red hasn't aged beautifully, but it has aged better than many Game Boy games. The JRPG offers simple gameplay with the option to take things deeper. Pokemon Red is a classic for the timeless gameplay and enduring legacy it introduced to the West.